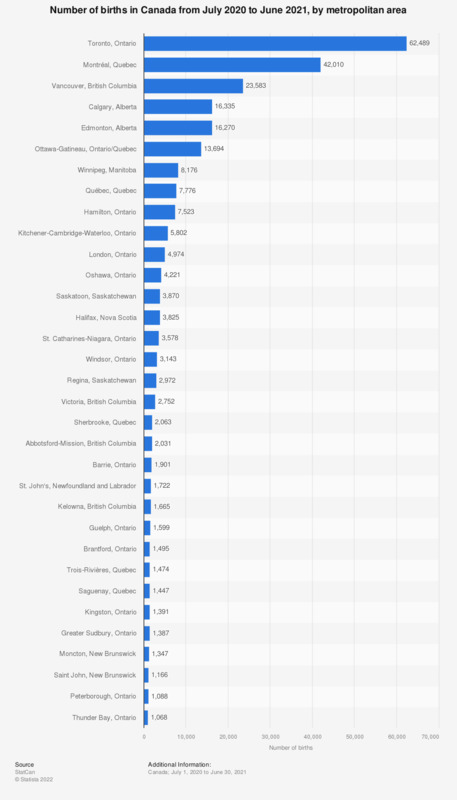 This statistic shows the total number of births in Canada for the year July 2017 to June 2018, distinguished by metropolitan areas. In 2018, around 66,892 babies were born in the Toronto metropolitan area. Data from July 1st, 2017 to June 30th, 2018.